Whether you are planning the perfect proposal whilst on vacation or are travelling to your wedding at a dream destination, it is really important to make sure that you keep your diamond jewelry safe whilst you travel. This is especially true of engagement rings, which hold a lot of emotional and sentimental value and therefore every precaution to keep them safe whilst in transit should always be taken. If you are travelling via air, it’s a good idea to keep the ring on your person at all times or in your cabin luggage, rather than placing it in checked luggage where there is more of a chance of it going missing. 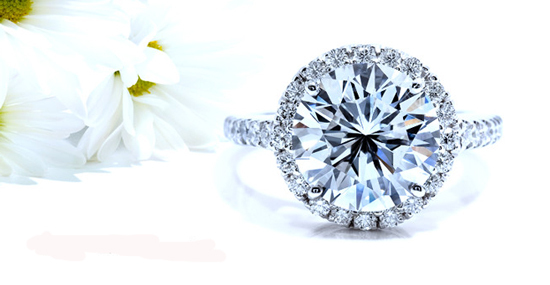 We’ve put together some of the best tips to make sure that your diamond jewelry gets from one place to the next without any problems. If the ring in question is quite expensive, it makes sense to have it insured so that in the event of loss or damage, your insurance will pay out in order for you to have it repaired or replaced. However, if you are planning to fly out to another country with your ring in tow, it’s absolutely vital to make sure that your insurance also covers the ring – or other jewelry item – whilst it is out of the country. If you have a unique ring such as a custom-designed diamond band from Ascot Diamonds, the last thing that you want is to lose it abroad only to discover that your insurance doesn’t cover it. If you are travelling to a location where you plan to propose to your unsuspecting partner, keeping the ring hidden – as well as keeping it safe – for the duration of the trip is important. If you’re flying, you do not want to put the ring in your hold luggage as if something goes wrong, for example your case is lost by the airline, you will need to not only take steps to ensure that you get your ring back but the whole proposal plan will be uncovered. Instead, keep the ring in an inside pocket of your jacket, or in your cabin bag, whilst on the flight. Be aware that certain materials may set the metal detectors off at security if they are on your person, so placing the ring in your cabin bag in its box and wrapped with clothing or bubble wrap to keep it secure is the best idea. If you are travelling to a destination wedding, you will need to make sure that both rings are kept safe and secure. One of the advantages in this scenario is that the bride-to-be is likely to be already wearing her engagement ring, and there is no need to keep the wedding rings hidden. Make sure that it is communicated clearly as to which bag the rings should be placed in and ensure that everybody knows who is primarily responsible for carrying that bag. Placing them in a smaller bag, such as a handbag which is less likely to be lost or forgotten is the most sensible idea. Looking after expensive diamond rings whilst you travel can be stressful, but with insurance and the right precautions, you can relax!